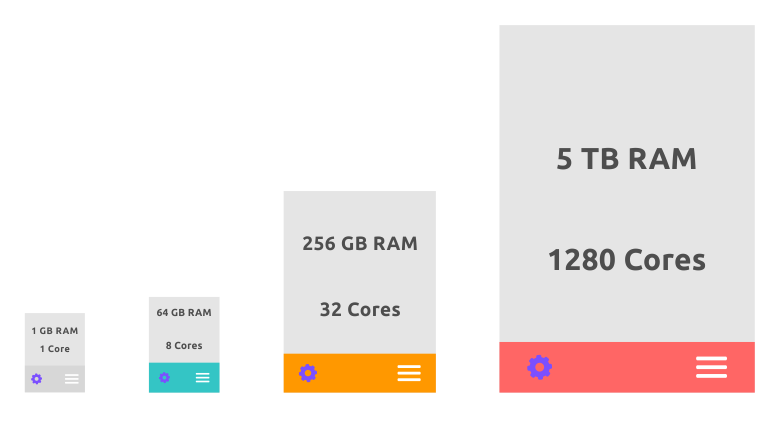 Engines are self-managed, in-memory data warehouses that connect to all your data sources to perform sophisticated analysis at your desired scale and an incredibly low operation cost. Notebooks enable you to securely and visually interact with the engine from the comfort of your browser – send your SQL queries or Python/R code to the engine and visualize the result back in your browser. Bring all your data sources – Raw CSV, JSON, or XML files from kilobytes to petabytes, SQL and No-SQL databases such as MySQL, Redshift and MongoDB, whether they are inside or outside your cloud environment. Store your analytics result into any other object store such as s3, file system such as efs or hdfs, or sql and no-sql databases to be used by your web applications. Connections of the various components are automatically managed and engine connects and authenticates to your cloud data sources, so you never need to manage credentials while having 100% control over what your engine can access. ParaStack is an end-to-end, turnkey advanced analytics solution, powered by winning open source technologies, that empowers you to analyze your raw data of any size, any type, anywhere, right within your own cloud firewall. Bring all your major data sources such as Amazon S3, Redshift, Microsoft Sql, MySql, ElasticSearch and MongoDB. From kilobytes to peta-byte scale, one engine can handle it all with minimal changes to your codebase. Json, Csv , Xml and even custom types and unstructured data sources, can be ingested for analytic. From SQL to advanced scientific and machine learning analytics, it can be performed by a single engine. Engines comes to life inside your own cloud environment, inside your cloud firewall where your data was initially generated. That way, you never have to move data to another third party service. Big problems start small, and ParaStack is built to offer you a complete solution as your scaling needs and requirements change through your project’s lifecycle. Automatically Scale your ParaStack engines to the desired size with a few clicks and no human intervention and leave the heavy lifting to us. Engines are built to reliably run on cloud deeply discounted unused capacity. 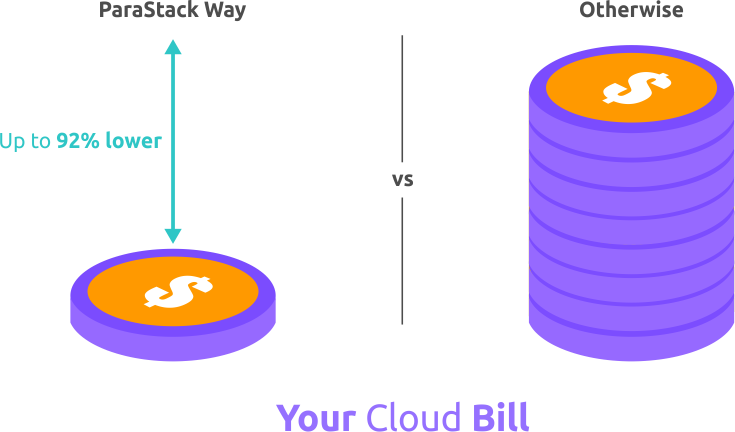 You couldn’t possibly lower your data processing operational costs any further. Spend your time extracting insights from your data in minutes vs. months of engineering to reinvent the wheel and minimize your time to market. Minimize the costs associated with investing in expertise, people, external services and service interruptions by utilizing production-ready services. Get proven security best practices out of the box and eliminate the guesswork and human mistakes that can jeopardize your application security. ParaStack is Instant Advanced Analytics that empowers you with the easiest, fastest and most cost-effective way to analyze your raw data of any size, any type, anywhere, together, and right inside your own firewall. © 2015 ParaStack Inc. All rights reserved.